If any of the results shown are not accurate for your team, go to your games page. Use help on that screen if you need assistance. USA Rank has taken a GIANT leap forward! We'll tell you why and what it will do for you, but first, let's make sure you understand what has changed. 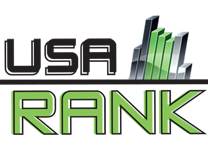 The USA Rank team is identifying ranking events (regardless of the host) and adding their FULL results into the database each week to support the full National Ranking system. Teams can still enter ALL of their results to include any we missed. 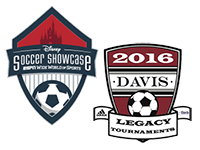 USYS state, regional and national competitions and US Club National competitions are used for seeding purposes. More recent games carry a higher weight, however, ALL games affect your rankings equally, so you can't "buy" your ranking. 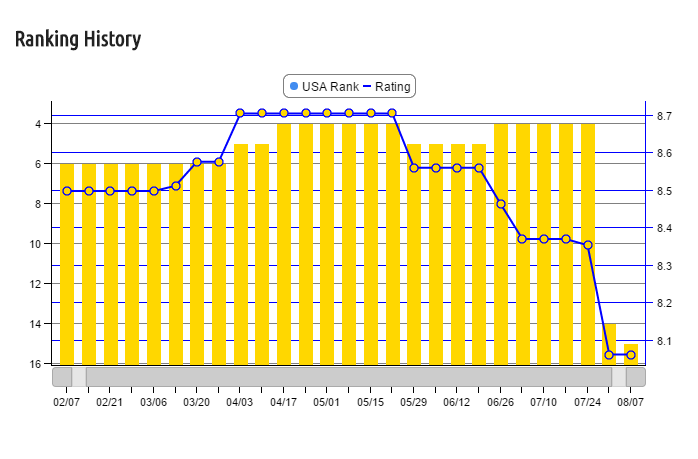 You'll be able to see how your rank has changed each week and what caused the change. You can see your team's ranking history for the past 26 weeks. We show you the calculation and full details so you can see how your results affected your team. Your ranking is displayed as your position within your level (Gold, Silver, Bronze, Red, Blue, Green). What is important to you is your position relative to the teams you fairly compete with and the ability to consider tournaments that offer divisions within range of your team's ability. 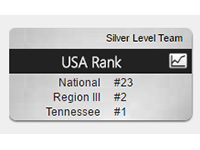 Your team's level is determined by your national rank. 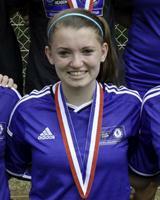 The age change mandate has caused many teams to change their competitive age. The new ranking calculation allows for that change without losing your team's ranking or game history. You'll see your ranking when you apply for events and you can make sure it is accurate so that you athlete's experience at the event is both challenging AND productive. Each team is assigned a USA Rank Key which will allow every event in the country to access a suite of tools to seed their event accurately and objectively. Your six character key will lead directly to your team's site on a computer or mobile device. 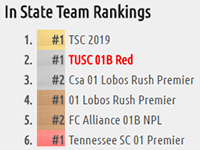 Soon you will be able to access the most complete tournament database in the country which uses your teams stats to evaluate which events are best for YOUR team. Which events fall within the distance your parents are willing to travel to a given weekend? Which events feature teams at your age; at your level? Which events include teams outside your neighborhood; teams you didn't play against in the past season? Which events use objective seeding to make sure you get placed wher eyou belong? 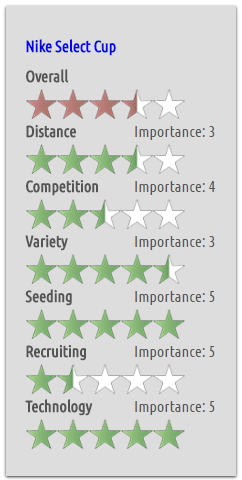 Which events provide access to the recruiting features that are important? Which events use technology that keeps you connected? And of course which of those categories are most important to you and your team? How can sincVIP members help? We are raising the bar on our youth rankings. Nobody knows Youth the sport and the teams better than our sincVIP's. We've already figured out how to create an unbiased ranking system based on actual results. 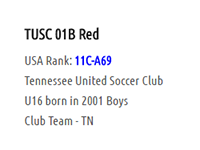 For soccer, USYS and USClub National Championships cement our rankings from U14 to U19. (Just because Team A beats Team B, C and D, it doesn't mean they could compete with Team G). We use other regional and national events for seeding in other sports. Our sincVIP's are helping us with seeding information. For U13 and younger, the information provided by our sincVIP's tells us where teams should be grouped without setting how teams should be ranked. (sincVIP's, click the blue 'S' on any younger team to seed them). Seedings are overridden by actual results. Seedings never lower a team's ranking. Seedings aren't necessary for all teams. Teams that play a seeded teams will be ranked appropriately. Seedings do not guarantee rankings. Our methods keep the seedings from biasing rankings. What if people lie about their results? We have been impressed with the accuracy of the data entered by teams and the honesty of those entering the data. (Stop being so cynical!) Certainly the system is self-policing since data entered is available to all members to see and immediately appears on the opponent's page. We have a policy that if a team enters results they must enter the results of ALL of their games at that event. If they don't we will either complete or delete partial results. And, of course, we can revoke any team's ability to enter their own data if they don't follow the rules! We "seed" the rankings with the State, Regional and National tournament results and then run through all of the games a dozen times to establish the base for each team. Team A can beat B, B can beat C, and then C can beat A to make a simple calculation impossible. We don't use simple tournament outcome which can have so many variables depending on which teams participate (and are skewed by the number of touraments entered) and we don't use "experts" which can be biased and don't always give credit to teams in smaller clubs.